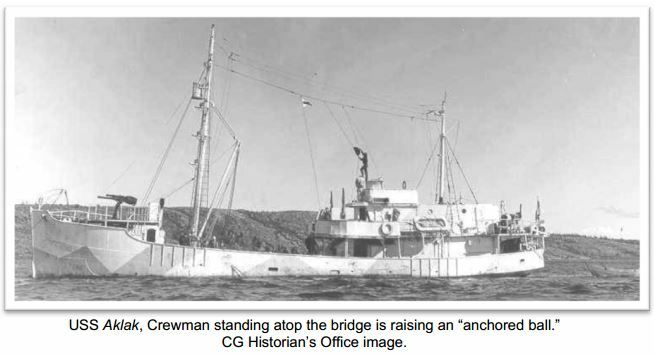 USCGC Aklak, crewman standing atop the bridge is raising an "anchored ball." 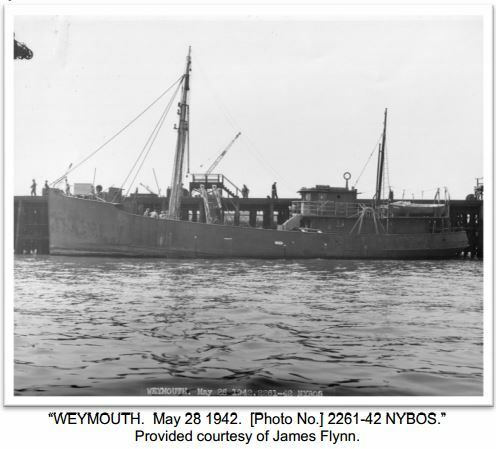 Type and Characteristics - WYP-168; built by Bethlehem Steel Co., Fore River, Quincy, MA, as a commercial steel-hulled fishing trawler, named Weymouth, 1941; commissioned by the Coast Guard 16 July 1942 at a cost of $75,000 to convert hull, renamed Aklak; 395 tons displacement full load, 116ft long x 22ft beam x 10ft 6in draft; main engines- 1 Nelseco 6-cyl. 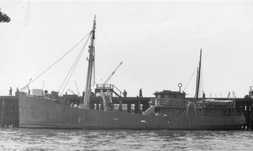 4-cycle diesel; BHP- 375; single propeller; economic speed 8.9 knots; 5,600 mile range; armament 1 x 6-pdr. ; 2 x 20mm/80; 2 x depth charge tracks; crew approx. 18 to 20. 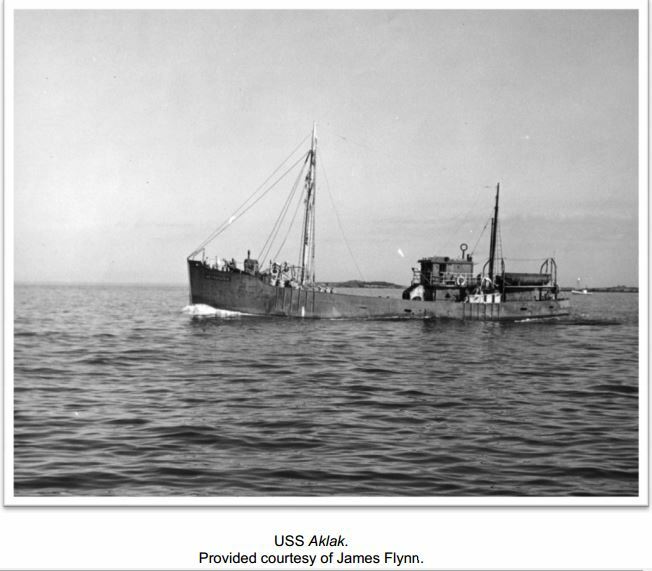 12 August 1942 - She freed the stranded USA Armstrong. 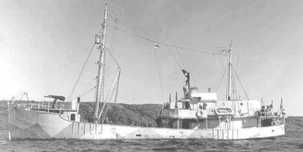 Fate - Decommissioned 10 March 1944, returned to owner 5 April 1944.